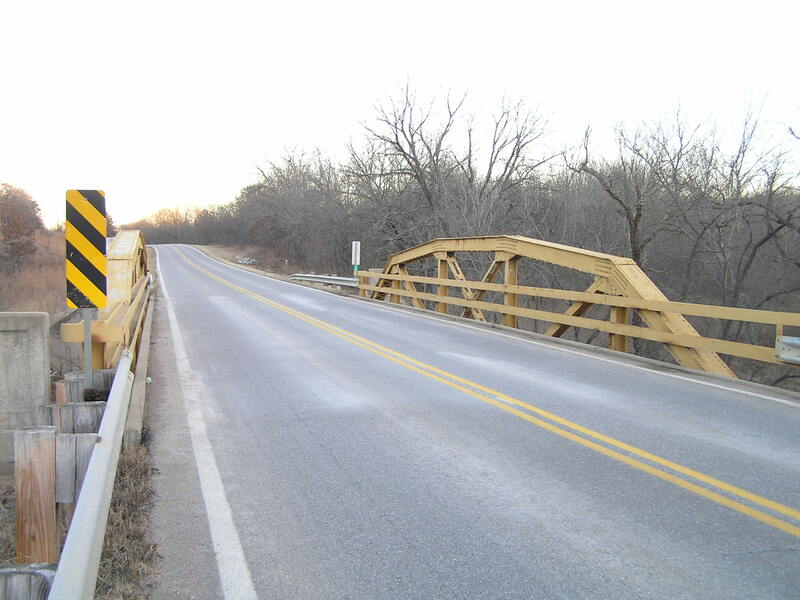 Built in 1933 by R. R. Tway Inc., this 80-foot Parker pony truss stands east of Pawhuska in a very hilly region of Osage County. 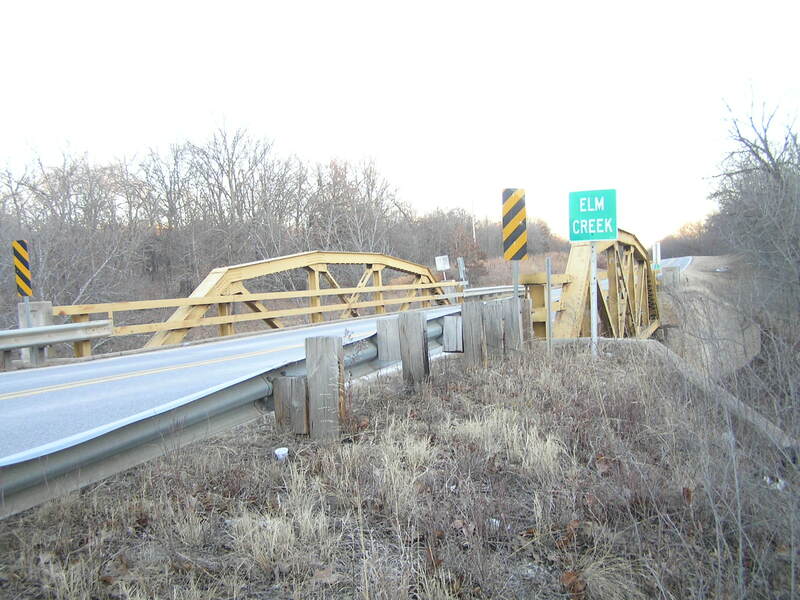 Above, a view of the Elm Creek bridge looking west. Below, a close view along the side of the bridge. 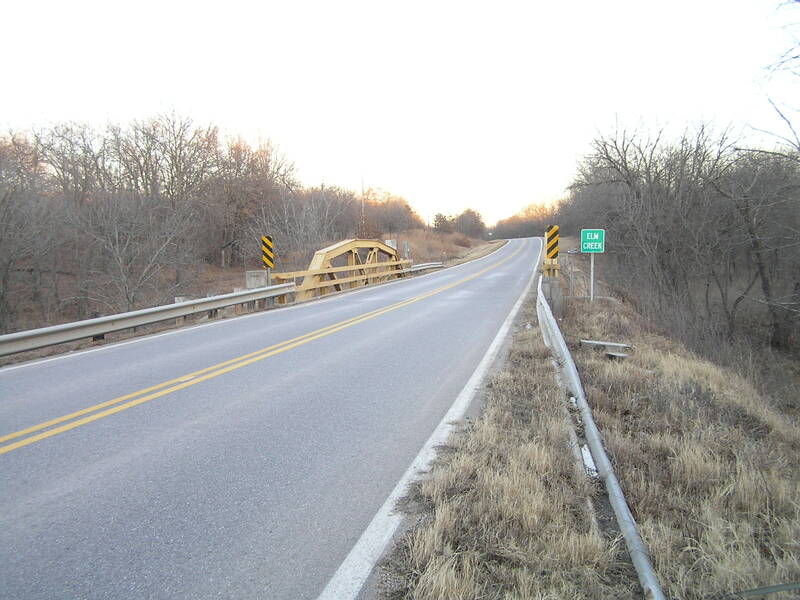 Note the concrete wing posts at the ends of the bridge, and the use of wide flanged steel for the web members. Above, another view of the steel truss taken from the deck. Below, an angle view looking west. 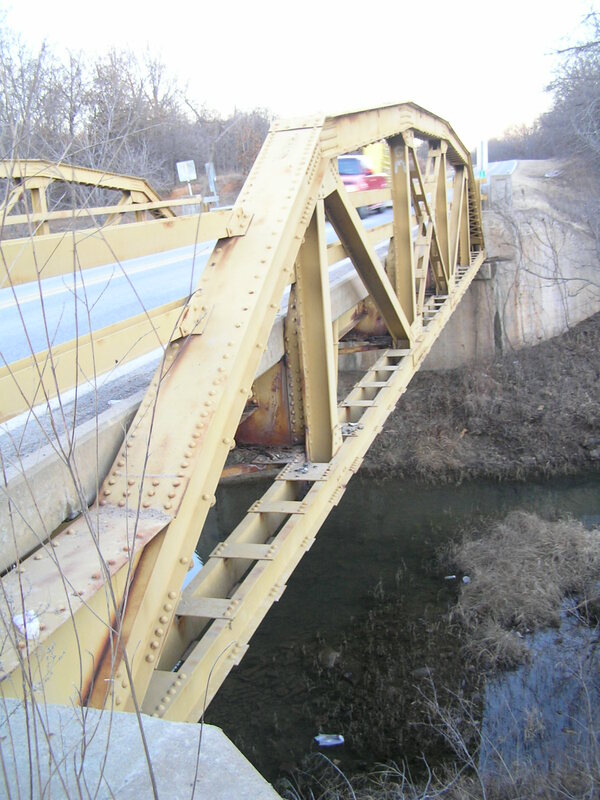 This bridge is in excellent condition.